Our eye doctor will custom-design the test procedures to suit your child’s age, stage of development, and individual health issues. The Importance of Eye Exams for Kids in San Antonio. My Child has Myopia/Nearsightedness-Now What? 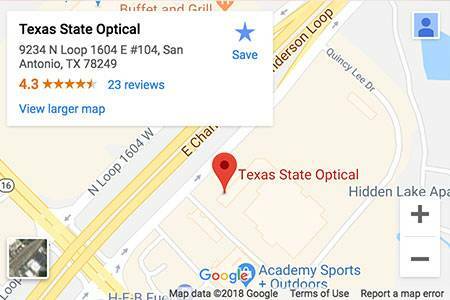 Glasses and Contact Lenses for Children in San Antonio. It is common for parents to push off bringing their child for an eye exam because he or she doesn’t have any visual complaints. However, kids – particularly young children – do not typically complain, even if they can’t see the classroom board or miss catching every ball on the sports field. Instead, they simply adapt to what they see. However, an undetected vision condition could have serious effects on child development and their performance in school. That is why it is critical to bring all kids to a qualified eye doctor for routine eye exams. Children have a unique set of eye conditions and visual requirements, which is why they need a specialized eye exams. When we perform a pediatric eye exam in San Antonio, TX, our eye doctor will custom-design the test procedures to suit your child’s age, stage of development, and individual health issues. With a friendly smile and a gentle bedside manner, we welcome children of all ages, from infants to teens. Vision screening in school is not the same as a comprehensive pediatric eye exam. While vision testing by a school nurse can indicate whether or not your child needs prescription eyewear, it cannot reliably detect the symptoms of other common eye conditions – such as lazy eye (amblyopia), eye misalignment (strabismus), and trouble with focusing (accommodation). Therefore, even if your child passed the school vision test with flying colors, it is still necessary to schedule an eye exam with an eye doctor. How Often Should a Child Have an Eye Exam? 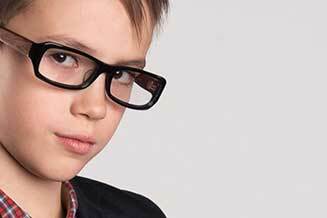 Follow-up exams: every 2 years (minimum) for children without prescription eyewear and no pediatric risk factors. If the child requires any type of vision treatment, such as visioncorrection or vision therapy, the eye doctor will provide individualized instructionsabout when to schedule pediatric eye exams. If your child has myopia, commonly known as nearsightedness, it means that objects in the distance appear blurry. Until about age 20, this vision condition may worsen over time, and it is typically treated with eyeglasses or contact lenses. In recent years, studies have linked high myopia with an increased risk of several eye diseases that can threaten your child’s future sight. These conditions include cataracts (and a lower rate of success with cataract surgery), retinal tears, retinal detachment, macular degeneration, and glaucoma. Studies, such as one published in JAMA Ophthalmology (January 2017), report that exposure to sunlight may lower the risk of developing myopia. Teenagers and young adults who had the highest exposure to UVB rays also had a 30% lower risk for nearsightedness than their peers with the lowest sunlight exposure. In sum, kids may be able to reduce their chances of becoming nearsighted by spending more time outdoors (with sunscreen, of course). In order to reduce the health risks of myopia, there are several types of myopia control or management. Every child and every case of myopia is not the same, and therefore your child’s eye doctor will recommend the most suitable method. Myopia management includes prescription eyeglasses, contact lenses, multifocal glasses, soft multifocal contact lenses, orthokeratology (ortho-k lenses), and atropine eye drops. When kids have a refractive problem, it means that their eyes cannot focus light onto the right spot on the retina. Prescription glasses and contact lenses can correct refractive conditions by bending light rays in a way that provides clearer vision. A qualified eye doctor will perform your child’s eye exam in order to issue a customized vision prescription with information about which lens powers are needed. The first tip you need to know about choosing glasses for kids is that your child must be a part of the decision! Eyeglasses come in a wide range of trendy styles and colors, and kids need to like the fashion statement of their frames – or they won’t wear them. Other important criteria include a durable construction, lenses that are resistant to impact and scratches, and a comfortable fit that isn’t too snug or too loose. Can Kids Wear Contact Lenses and from What Age? Nowadays, the majority of optometrists feel that children can wear soft contact lenses from the age of 10, approximately. In general, the decision rests upon the child’s motivation and maturity, because these characteristics strongly influence their dedication to taking care of contact lenses responsibly, with proper hygiene. Out of approximately 600,000 eye emergencies that occur each year due to sports, about one-third of them occur in children. One reason that this number is so high is because parents don’t realize how much damage a swinging bat, whizzing ball, or stray elbow can cause when it hits the eye. However, wearing protective eyewear, such as safety goggles and impact-resistant polycarbonate lenses, significantly reduces the incidences of eye injury. Protective eyewear is recommended for all children, whether or not they normally wear eyeglasses or contact lenses. If you notice any of these signs, it is time to book a pediatric eye exam at our kid-friendly San Antonio, TX office. Teaching Your Child Proper Prevention. Vision Development in San Antonio. Common Vision Issues That Affect School Performance. When your child’s eye doctor performs a pediatric eye exam, much more than visual acuity and eye health is discussed. A kid’s eye exam is also a fantastic opportunity for your child to learn about good lifestyle decisions that can keep eyes safe and healthy for as long as possible. As children spend more and more time staring at screens, the incidence of kids with digital eyestrain is also on the rise. However, taking frequent breaks from screen time can be an effective solution. Children should be encouraged to take 20 second breaks to blink and look away from their screens, about every 20 minutes. In moderate amounts, blue light is healthy for our sleep cycles and promotes good moods. Yet overexposure to artificial blue light from digital screens can be devastating to kids. It can suppress the production of melatonin and lead to insomnia, slow their metabolism, and cause damage to retinal tissue. That’s why setting limits on screen time is vital to your child’s long-lasting vision. 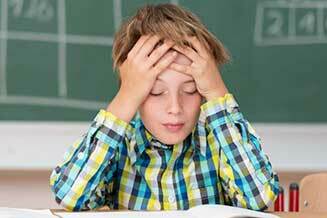 Children can experience a broad range of irritating eye symptoms, such as blurry vision, double vision, dry eyes, and headaches. All of these symptoms can point to several different vision conditions, and only a comprehensive pediatric eye exam can determine the precise problem. It is essential to tell the eye doctor if your child has any vision-related complaints. When children play sports, the best way to help them stay safe from eye emergencies is to invest in protective eye gear, such as safety goggles and impact-resistant lenses. Sunglasses are essential gear for kids to wear outdoors in the daytime, even when your child isn’t engaged in a physical activity. The sun’s ultraviolet rays pose a number of sight-threatening hazards, and it is critical to buy sunglasses with 100% protection from both UVA and UVB rays. 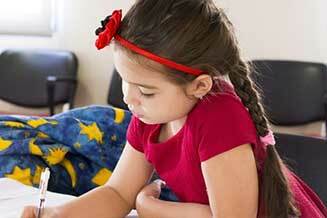 Vision development in children consists of more than just sharp 20/20 eyesight. It also encompasses gross motor development, fine motor skills, and visual perception. 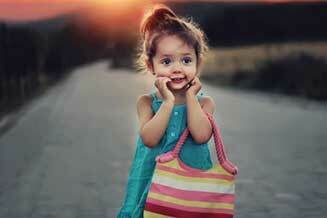 Many components of your child’s visual system develop when they are very young. By keeping focus on proper vision development in kids, a number of future learning problems can be prevented. During the first year of life, your baby’s vision will change dramatically. Little babies only develop the ability to focus and see color after about 3 months. After 6 months, the eyes should be developed fully, and babies should be able to track quickly moving objects. By two years old, toddlers should have good hand-eye coordination and full depth perception. Preschool kids, age 2-5, are engaged in non-stop learning, all of which depends on having quality vision. This is when your child needs to be checked for sharp visual acuity, as well as conditions such as amblyopia (lazy eye) and strabismus (crossed eyes). Signs of a problem include squinting and holding reading materials very close to the face. 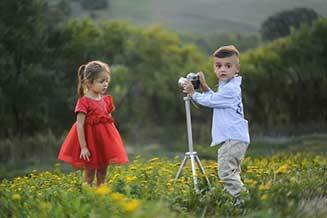 Throughout early and middle childhood, many aspects of vision continue to develop. A pediatric eye exam will assess a total range of visual skills such as visual acuity, focusing, tracking, and convergence (the ability of both eyes to team and focus simultaneously on the same object). All of these parts of functional vision are essential for learning. Reading depends upon a myriad of vision skills, and difficulty with reading can stem from a variety of issues. The parts of vision that are used to read include visual acuity, binocularity, focusing, visual fixation, field of vision, shape perception, and convergence. In order to ensure that a vision-related reading problem does not go undetected or get misdiagnosed, it is critical to bring school-aged kids for comprehensive pediatric eye exams. Amblyopia, commonly known as “lazy eye”, is a neuro-developmental vision disorder that happens during infancy and in young children. Usually, poor eyesight is experienced in one eye, even when the child wears prescription eyewear. In response, the brain suppresses any visual signals conveyed by this eye. When left untreated, lazy eye can have a negative impact on your child’s performance in school, social interactions, sports coordination, and general self-esteem. A pediatric eye exam is the most reliable way to detect amblyopia, and it is typically treated with vision therapy. Eyes need to team and work together in order to read, process, and comprehend information. When children’s eyes do not team properly, they will have trouble seeing single images and may experience double vision, poor depth perception, eye fatigue, and headaches. These vision problems, called convergence insufficiency (CI) can compromise your child’s ability to learn to read and write. A thorough pediatric eye exam will diagnose CI, and vision therapy is a common, effective treatment. 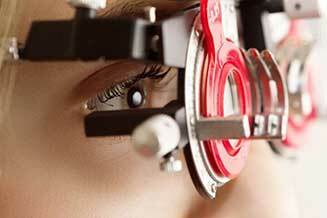 Identifying Symptoms of Vision Issues from Your Diabetes. Elevated blood sugar levels can lead to blurred vision. This symptom can be experienced by children who have already been diagnosed with type 1 or type 2 diabetes, and it can also be a warning sign that your child has diabetes. When choosing an eye doctor for your child, it is imperative to find a qualified professional who knows how to treat kids. Regular pediatric eye exams are important, and unless your child has a pleasant and fun eye exam, he or she will refuse to return next year. A positive eye care experience at TSO Bandera goes far towards promoting healthy eyes and clear vision in your child’s future! BOOK A PEDIATRIC EYE EXAM!